India produces enough food to meet the needs of its entire population, and has at its disposal arable land that has the potential to produce food surplus for export. Yet, it is unable to feed millions of its people, especially women and children. India ranks 100th among 119 countries in the Global Hunger Index (GHI) 2017, where it has consistently ranked poorly. Indeed, the world’s zero-hunger goal appears to be slipping further into the future rather than getting ever closer. Imagine a landmass greater than China. Now imagine that land is only used to produce food. Then suppose all the crops and produce from those 2.5bn acres are not eaten and left to rot. Imagine all of that – and you get an idea of the amount of food the world wastes every year. It is almost a third of the world’s. In terms of weight, it adds up to around 1.3bn tonnes. The case for action becomes even stronger when we consider that 1 in 9 people are malnourished worldwide. 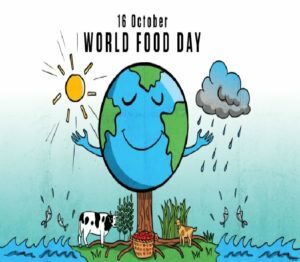 Despite the fact that every twelfth Indian has to sleep on an empty stomach, the country wastes food worth a whopping Rs 58,000 crores in a year, about seven percent of its total food production. It is lost during harvest, or on the journey from farm to markets- in essence in production, processing, retailing and consumption Lack of cooling facilities is the major reason for crops perishing after harvest. As you trudge through the mire of any government-run food auction yard, or mandi, you will find piles of supposedly fresh produce lying everywhere, rotting in the sun and competing with mangy dogs and scampering mice for your attention. A lack of education on post-harvest practices often results in poor quality control and food being damaged during handling. Better processing and recycling can feed 11 per cent of the world’s population. One of the major ways of enhancing food security in India is by simply controlling wastage. . India is the second-largest producer of vegetables and fruits, but about 25-30 percent of it is wasted due to inadequate logistical support, lack of refrigerated storage, supply chain bottlenecks, poor transport and underdeveloped marketing channels. The Food and Agriculture Organisation (FAO) puts this figure at around 40 percent, worth around $8.3 billion. Twenty-one million metric tonnes of wheat, which is almost equal to Australia’s annual production, rots each year due to improper storage. According to the Associated Chambers of Commerce, the country experiences a post-harvest loss of Rs 2 lakh crores annually. Less than 4 percent of India’s fresh produce is transported by cold-chains, compared to more than 90 percent in the UK. Better cold storage, improved infrastructure and education about food handling could help transform this situation. The World Bank recently stated that nearly 60 percent of the country’s food subsidies do not reach the poor; they are siphoned off by the middlemen. Reforming the faltering public distribution system that mainly supplies subsidised grain to the poor and modernizing other areas, such as computerization of outlets and satellite control over the movement of transport vehicles can go a long way in plugging the leakages. The Food Corporation of India (FCI) was set up in 1964 to offer impetus to price support systems, encourage nationwide distribution and maintain sufficient buffer of staples like wheat and rice but its performance has been woefully inadequate, in comparison to the needs of the country. Around one percent of the Gross Domestic Product (GDP) gets shaved off annually in the form of food waste. The FCI has neither a warehouse capacity nor the manpower to manage this humongous stockpile of food grains. Every year, the government purchases millions of tonnes of grain from the farmers to ensure that they get a good price for their produce, for numerous food subsidy programmes and to maintain an emergency buffer. The cruel truth, however, is that most of the produce is left out in the open, vulnerable to rain and attacks by rodents or stored in makeshift spaces, covered by tarpaulin sheets, thus increasing the chances of spoilage. Several countries are now using metal grain silos to guard against fungus attacks on the grain stock. It is estimated that one million tonnes of onions vanish on their way from farms to markets, as do 2.2 million tonnes of tomatoes. Tomatoes get squished if they are packed into jute sacks. Overall, five million eggs crack or go bad due to lack of cold storage. Just three states of India—Punjab, Madhya Pradesh and Haryana—grow most of India’s grains and the food has to be transported to far-flung areas. A study undertaken by the Indian Council of Agricultural Research (2013) highlights that the underlying cause of post-harvest loss in the country is due to the lack of infrastructure for short-term storage, particularly at the farm level, as well as the lack of intermediate processing in the production catchments. If there are no proper roads linking fields to markets, farmers cannot easily sell their surplus produce, which may then spoil before it can be eaten. Improving road and rail capacity enables farmers to reach buyers and likewise, fertilisers and other agricultural inputs to reach farmers. The Indian Institute of Management, Kolkata, has uncovered that only 10 percent of the perishable produce has access to cold storage facilities in India. These are mostly used for potatoes to meet India’s robust demand for chips. This, along with inappropriate supply chain management, has resulted in India becoming a significant contributor to food wastage at both pre and post-harvest levels. The study estimates that India needs storage facilities for another 370 million metric tonnes of perishable produce. Added to the wastage of food, there is a depletion of precious resources involved in its production. According to the United Nations, India is estimated to use more than 230 cubic kilometres of fresh water annually, for producing food items that will be ultimately wasted. To put this into context, this amount of water is enough to provide drinking water to 100 million people every year. Besides this, nearly 300 million barrels of oil used in the process are also ultimately wasted. Despite being the world’s largest banana producer, India holds just 0.3 percent share of the global banana market. Production is fragmented compared to the large-scale commercial farms of its competitors, with small-hold farmers having little business or technical support. The cost of delivering energy to remote, rural regions for running storage facilities is also quite steep and this means that even when storage facilities are built, they may not be able to function. 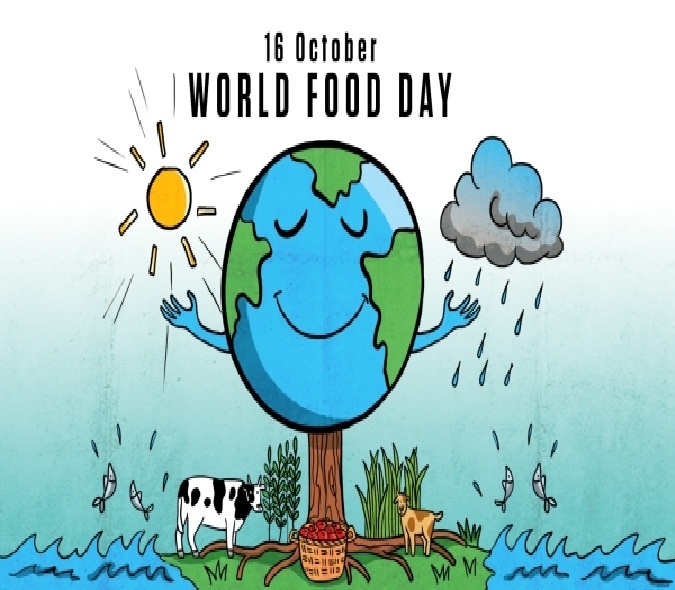 In recent years, numerous initiatives and interventions have been undertaken by the Indian government, and local and international actors to target food loss and wastage across the agricultural value chain. For instance, the Indian government is seeking to streamline and modernise agricultural value chains, through reformation of the PDS to reduce the waste and loss associated with the distribution and storage of food grains. The government is also extending support for the setting up of cold chain projects whereby 138 cold chain projects have been installed. Studies have also indicated that on-farm interventions can also contribute towards reducing food losses and waste. For instance, a pilot study sponsored by the Bill & Melinda Gates Foundation has revealed food loss reductions of around 60 percent during field trials, testing low-cost storage techniques and handling practices. Another study, undertaken in Punjab, which focused on the harvesting of ‘Kinnow’ (a citrus fruit), demonstrated how on-farm food losses decreased from ten percent to only two percent when a combination of harvesting techniques was used. India has developed some modern supply chains linked to food processing companies, such as Nestlé, Pepsi, Unilever and Del Monte but these handle only a fraction of the country’s perishable food produce. India needs to mobilise large-scale investments in cold storage methods, refrigerated transport and other modern logistics to modernise its food supply chain. Apart from this, a strong will by the political class and an imaginative thinking on the part of the policy-makers is needed. This article originally appeared on Transcend Media Service (TMS) on 15 Oct 2018. Anticopyright: Editorials and articles originated on TMS may be freely reprinted, disseminated, translated and used as background material, provided an acknowledgement and link to the source, TMS: Wasting Food in a Hungry World, is included. Thank you.